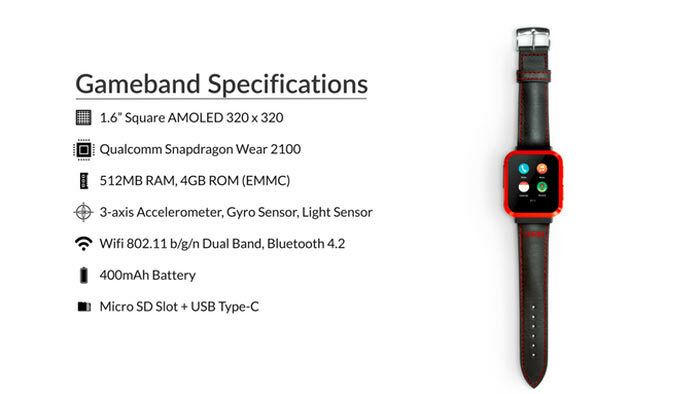 Back in February 2017, HEXUS reported upon the Atari Gameband smartwatch project as it started its Kickstarter funding round, looking for $75,000. The wide media reporting of the project and trend for retro gaming and smartwatches instilled strong community support, and the modest $75K goal was easily exceeded - with over $325K pledged by the time the funding period was over. The project had 1,708 backers who paid from $99 to $149 per smartwatch. As a reminder of the proposition the Gameband was heralded as "the first smartwatch for gamers". Project originator Feargal Mac Conuladh intended to produce an Atari-backed version of his successful Minecraft Gameband, packed with retro-game jewels such as Asteroids, Pong, Breakout and Centipede. 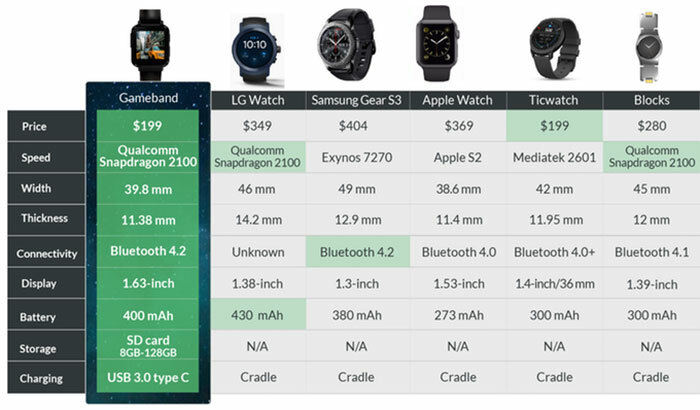 Of course, as a smartwatch, it would also offer functionality to compete with various Apple and Android wearables. 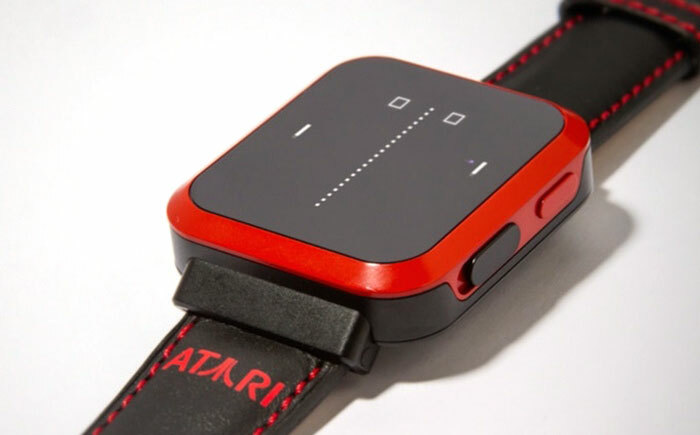 The hardware for the Atari Gameband was designed with the key specs as above, and thanks to the integrated USB Type-C port users could plug the watch into a computer, sync and play the games on the much larger screen if they so wished. Both Variety and Venture Beat have plenty of quotes and background information about what went wrong with the Atari Gameband smartwatch project. Unfortunately, to see the last update on the project page you have to be a project backer (perhaps secretive updates from companies and governments are a warning sign of impending doom). VB got an email from the aforementioned Feargal Mac Conuladh, as follows: "We've reached the point where we have told our backers we will not be continuing with the project," wrote Conuladh. "It's been a long road, and a very tough decision, however we felt it was time to call it, tell people where we stand, and start looking to where we will take things from here." The Gameband CEO added that there were multiple problems in the development and plans to manufacture the Gameband. Excuses centred on complex issues in the original design which required time and money to rectify, and then alternative partners and extra funding options proved not to be viable. Variety shared some snippets from the backer-only updates page, which said that refunds are being considered and "we will do our utmost to do so, and in fact we are determined to do so if and when we can." However, that was followed up by some whining about how the company's costs "have far exceeded the $500K to date," so it might be better to consider the pledged cash as something that has disappeared down a black hole. The statement ended with an apology, saying that the company is very grateful for the backing it received and that it is "truly truly sorry" for letting down the retro-gaming smartwatch dreamers. did people get their money back? So they just stole that money. I dont see it as anything else. Nobody stole anything. The money was given willingly. If they haven't spent it on the development of the watch it could be fraud, if they have then there's nothing legally wrong with it. As the small print says, crowdfunding something is not the same as a pre-order, you aren't guaranteed a return. Feargal Mac Conuladh had definitely ‘Conned You, Lad’!! Nah, all jesting aside, there have been doubts about Mac all along, as he has a reputation for heading failed crowdfunded gadgets. Seems like this happens all too often. I guess the moral if you want to buy something go to a shop, if you want to loan someone money with no guaranteed return of anything give money to a crowdfunded project and hope for the best. For some strange reason one doubts the the people that create these project projects ever walk away out of pocket, if they run out of money they walk away scott free. Better to let others risk their money and then buy the product once it reaches the market, it'll probably be cheaper by then if it even makes it.